Vladivostok (Russian: Владивосто́к, IPA: [vlədʲɪvɐˈstok] ( listen), literally ruler of the east) is a city and the administrative centre of Far Eastern Federal District and Primorsky Krai, Russia, located around the Golden Horn Bay, not far from Russia's borders with China and North Korea. The population of the city as of 2017[update] was 606,589, up from 592,034 recorded in the 2010 Russian census. 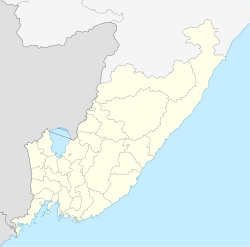 Harbin in China is about 515 kilometres (320 mi) away, whilst Sapporo in Japan is about 775 kilometres (482 mi) east across the Sea of Japan. The population of the city, according to the 2010 Census, is 592,034, down from 594,701 recorded in the 2002 Census. This is further down from 633,838 recorded in the 1989 Census. Following the 2009 recession the population of the city has continuously increased to 606,653 as of 2016[update] Ethnic Russians make up the majority of the population. ^ "Генеральный план Владивостока". Archived from the original on July 10, 2014. Retrieved July 10, 2014. ^ "Ростелеком завершил перевод Владивостока на семизначную нумерацию телефонов" (in Russian). July 12, 2011. Retrieved November 26, 2016. ^ "Город Владивосток". Города России. Retrieved June 28, 2016. ^ “海参崴来自满语，意为‘海边的小渔村’”： 阳, 曹. "冰雪黑龙江 圣诞异国游--频道风采". 天津广播网. 天津人民广播电台交通广播. Retrieved February 9, 2018. ^ Joana Breidenbach (2005). Pál Nyíri, Joana Breidenbach (ed.). China inside out: contemporary Chinese nationalism and transnationalism (illustrated ed.). Central European University Press. p. 90. ISBN 963-7326-14-6. Retrieved March 18, 2012. in the Gulf of Peter the Great. They organized themselves and raided three Russian villages and two military posts. For the first time, this attempt to drive the Chinese out was unsuccessful. ^ "The Russian train experience". Retrieved February 21, 2014. 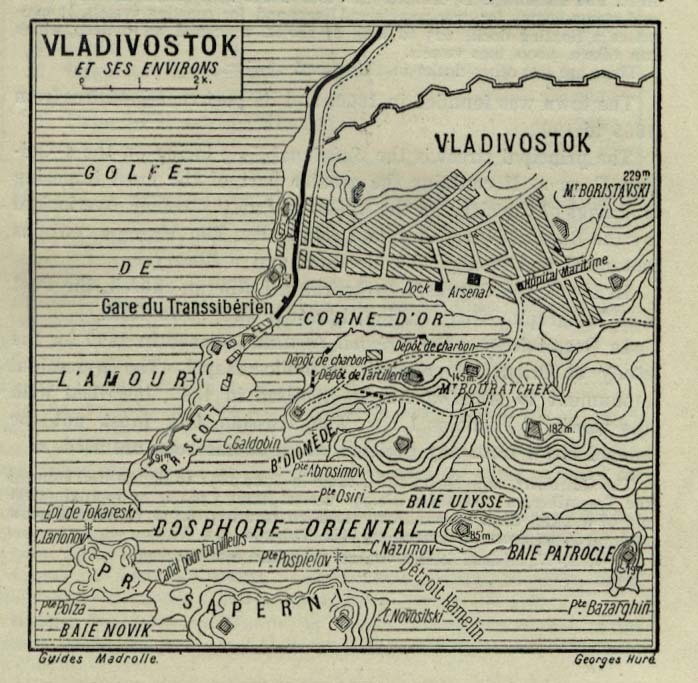 ^ "Czech troops take Russian port of Vladivostok for Allies - 6 July 1918 - HISTORY.com". HISTORY.com. Retrieved June 22, 2016. ^ Joana Breidenbach (2005). Pál Nyíri, Joana Breidenbach (ed.). China inside out: contemporary Chinese nationalism and transnationalism (illustrated ed.). Central European University Press. p. 90. ISBN 963-7326-14-6. Retrieved March 18, 2012. Then there occurred another story which has become traumatic, this one for the Russian nationalist psyche. At the end of the year 1918, after the Russian Revolution, the Chinese merchants in the Russian Far East demanded the Chinese government to send troops for their protection, and Chinese troops were sent to Vladivostok to protect the Chinese community: about 1600 soldiers and 700 support personnel. ^ Williamson, Gail M.; Christie, Juliette (September 18, 2012). "Aging Well in the 21st Century: Challenges and Opportunities". Oxford Handbooks Online: 89. doi:10.1093/oxfordhb/9780195187243.013.0015. ^ "Vladivostok Climate Normals 1961–1990". National Oceanic and Atmospheric Administration. Retrieved November 30, 2015. ^ Ryzik, Melena (August 28, 2013). "East by Far East: Vladivostok Rocks". The New York Times. 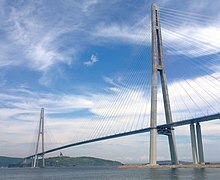 Wikivoyage has a travel guide for Vladivostok. This page was last edited on 16 April 2019, at 17:22 (UTC).